What do you do when the scientific evidence is absent or poor? How do you reconcile disagreements in evidence interpretation among guidelines? How do guidelines accommodate subgroups (e.g., older populations or persons with multimorbidities) whose treatment outcomes may differ from the average patient? Are there other challenges you believe are important? What should the composition of CPG development panels,in particular the balance of methodologists, topical experts, and consumers, look like? 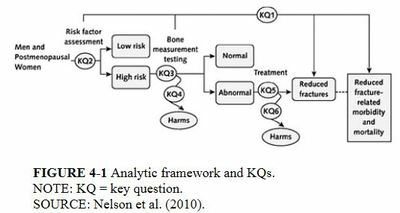 What methods might be developed for determining which recommendations among those in a guideline should be applied to quality measures or electronic medical record decision prompts? Is there an available assessment tool that adequately rates both the level of the scientific evidence and strength of clinical recommendations that should be used as standard practice in guideline development? 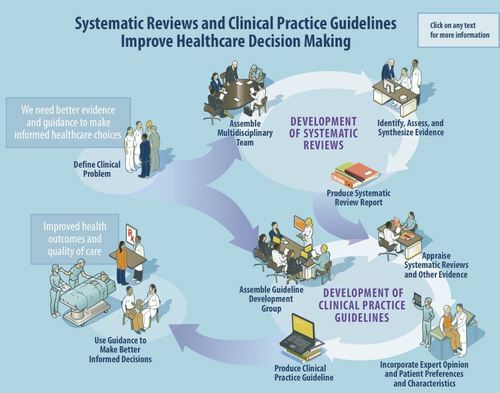 What administrative (e.g., accreditation) or legal approaches might improve the quality of clinical practice guidelines? What explicit approaches might harmonize guideline developers and increase guidelines convergence? What types of strategies might promote greater use of guidelines? Are there other characteristics of guideline standards you think are important for the committee to consider? harms of alternative care options.